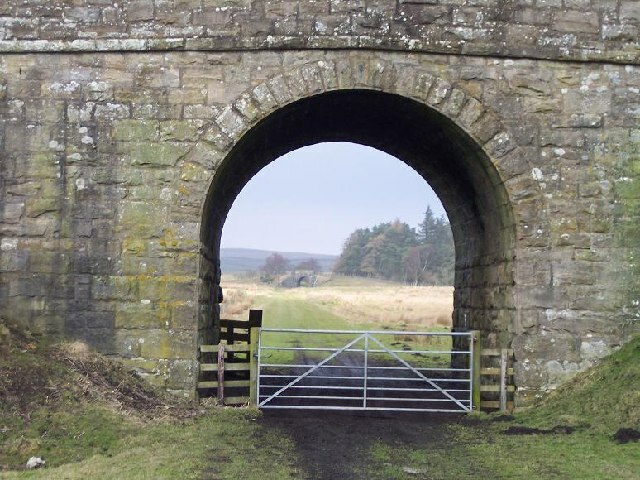 "The Northumberland Central Railway planned to build a line north from Scotsgap (on the Reedsmouth - Morpeth line) that would run through to Coldstream to link up with the Kelso to Tweedmouth line but the money ran out and they only got as far as Rothbury. It opened in 1870 and two years later it was absorbed by the North British Railway. There were two intermediate stations and two halts and in the years it was open there were only two or three passenger trains daily in each direction and these all ran through to/from Morpeth with connections to/from Reedsmouth at Scotsgap. The passenger service was withdrawn in 1952 and the line closed completely in 1963." Photo by Ralph Rawlinson, 2006.